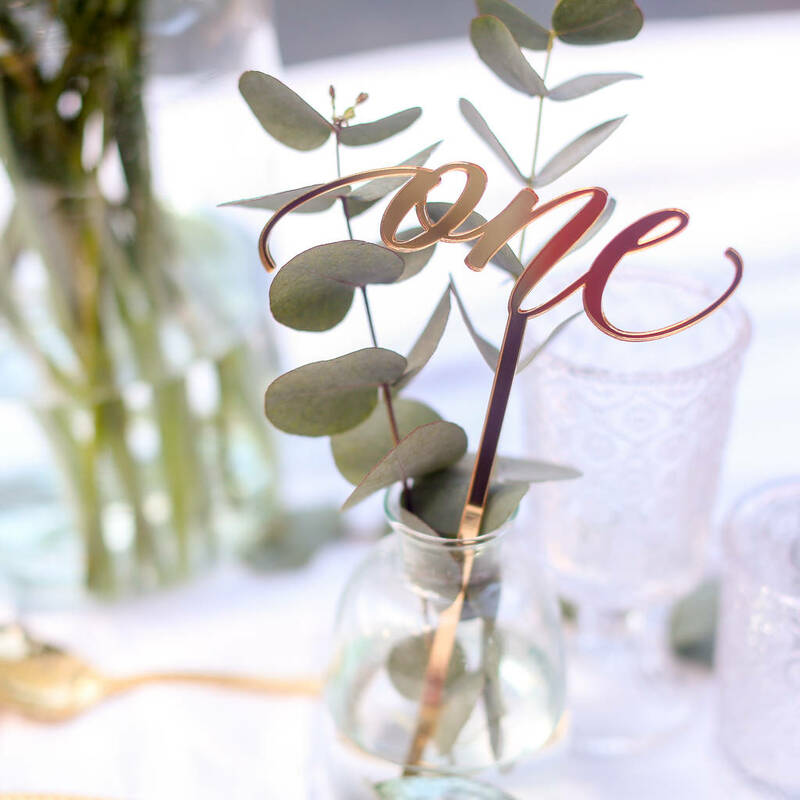 Our wedding table numbers are the perfect touch to your modern wedding centrepieces. Colours Include Gold mirror, Rose gold mirror, Sivler mirror, Wood veneer, white, black, grey, red and clear. Other colours available on request. 15cm high, each numbers width varies.